I’m a very lucky girl and recently GG said that if I picked a dessert recipe from one of my cook books that he would make it for me. I am very spoiled. 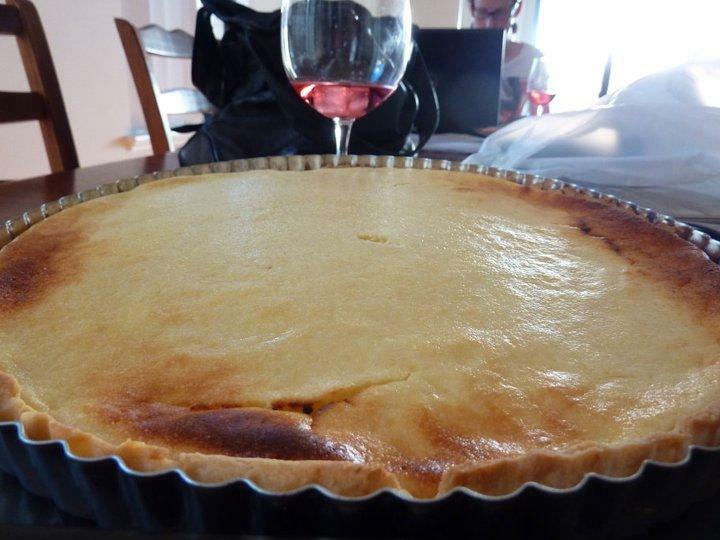 So I perused many books and settled on a recipe from the Women’s Weekly Sweets Old Fashion Favourites Book – The Key Lime Pie. 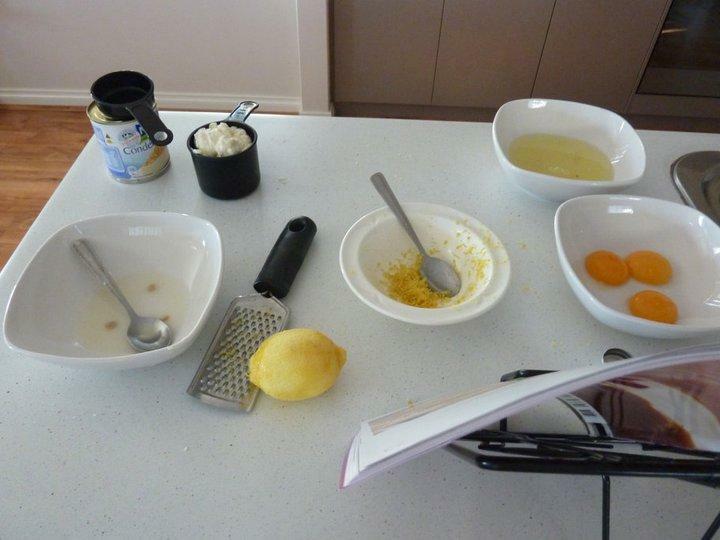 This dessert is one of my favourites when we go out and look over the cake cabinet, so I was keen to try a homemade recipe. For the base, just sift the flour and icing sugar into a bowl and rub in the butter. Stir in the lemon juice and enough water to mix a soft dough. Knead it on a floured surface until smooth and refrigerate for 30 minutes. 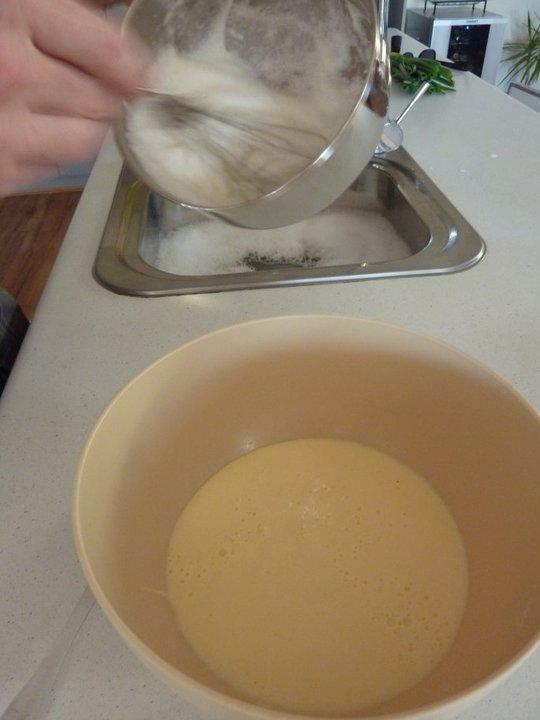 Once this time has passed, roll the dough between sheets of grease proof paper until large enough to fit a 23cm pie plate. 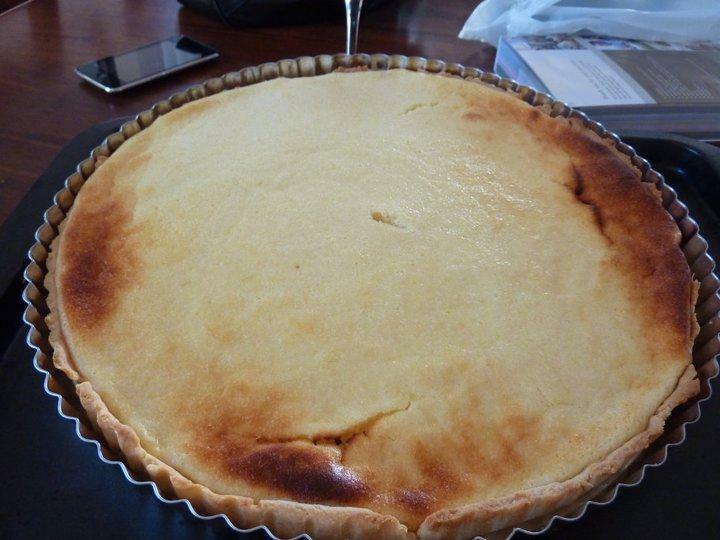 Lift the pastry into the pie plate and trim the edges. Fill the pie case with greaseproof paper and fill with rice and beans. Bake in a moderate oven for 10 ominutes, then remove the paper and beans and bake for another 7 minutes until lightly browned. Then take out and cool. Time for the filling! 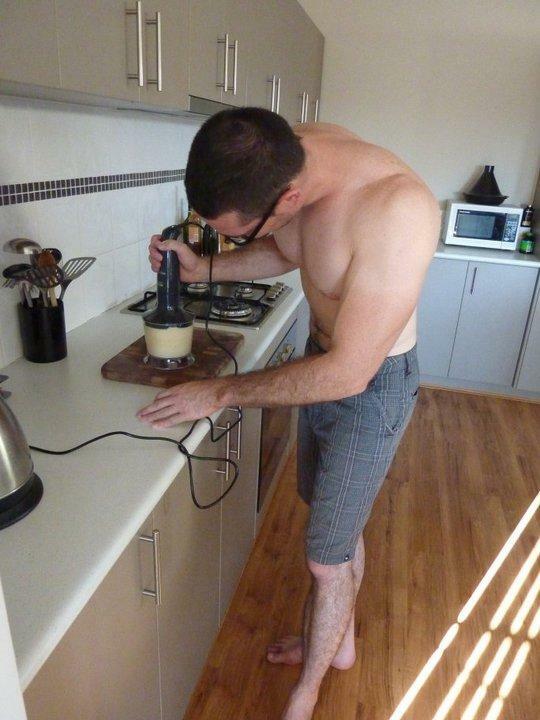 And this is when I got home and discovered my bare shirted dessert chef hard at work. 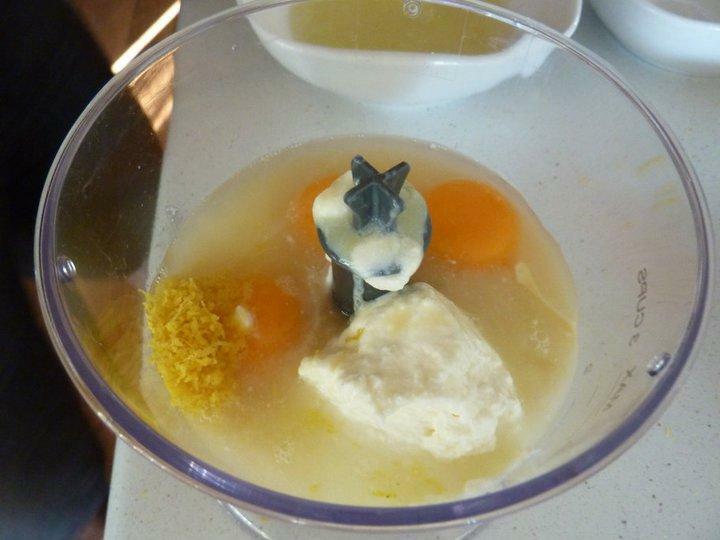 Fairly easy process for the filling, firstly you blend or process milk, cheese, egg yolks, rind and lime juice until smooth….. 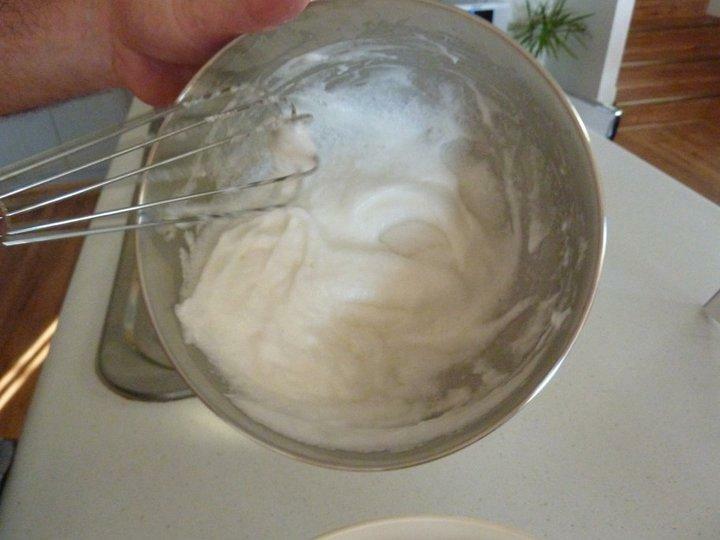 The egg whites then need to be beaten until soft peaks form. It’s then just a matter of pouring the filling into the cold pie case and popping that in the overn for about 25 minutes until set. 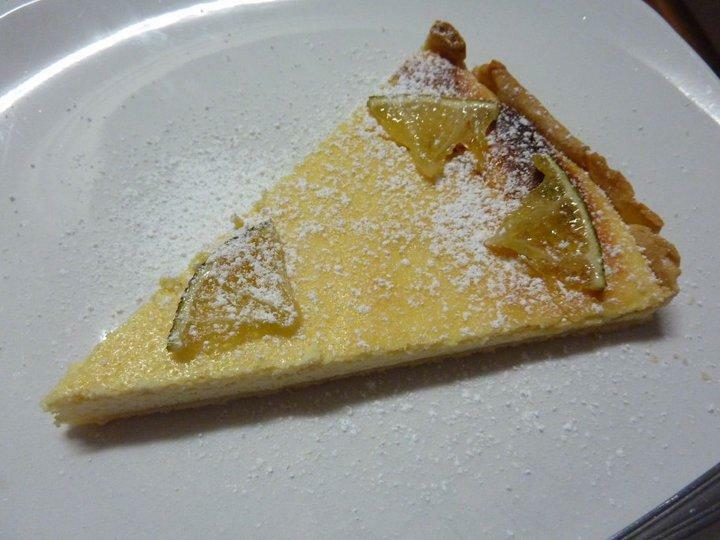 The pie just needs to go into the fridge to cool, then when you are ready to serve, dust with icing sugar and pop on a few pieces of limes, which we cooked in a sugar syrup. I was very impressive, just like what I’ve had when we were out. Can’t wait for his next cooking adventure!